The national vice chair of the opposition National Democratic Congress Chief Sofo Azoka says he will sue government for including Azoka Boys on the schedule of vigilante groups contained in the Vigilante and other related offences bill. The bill which has been laid before parliament contains a number of clauses that make the funding, supporting and participating in vigilantism; offences punishable by law. The bill has already listed a number of known vigilante groups which are expected to follow laid down modalities to officially disband their membership within one month after the coming to force of the bill. Chief Azoka is, however, angered the Azoka Boys believed to be his group; has been listed as part of the groups, insisting government has no evidence in law to describe his group as vigilante group. Speaking to host Julius Caesar Anadem on the Ultimate Breakfast, Sofo Azoka noted that he is speaking to his lawyers to challenge the draft bill should it get passed by parliament into a law, if Azoka Boys is not deleted from the bill. “Can you give me a witness with Azoka group in video or camera holding gun or cutlass misbehaving and causing mayhem in the country. Is there any witness that Azoka or Azoka boys were captured in the by-election in Ayawaso Wuogon?” an infuriated Azoka queried. “Azoka is my name and they add the boys. I am not a criminal and I don’t have any group called vigilante group. “I was a branch youth organiser, I became deputy regional organiser, then I became a regional vice chairman, I became the regional chairman of the Northern region and I have become national vice chairman so you can’t compare this man to a vigilante. I am in the system organising my party and you can’t call that vigilante group,” Sofo Azoka contended. He charged government to instead of passing bills, charge the police to go after what he described as criminals parading in the guise of political parties. 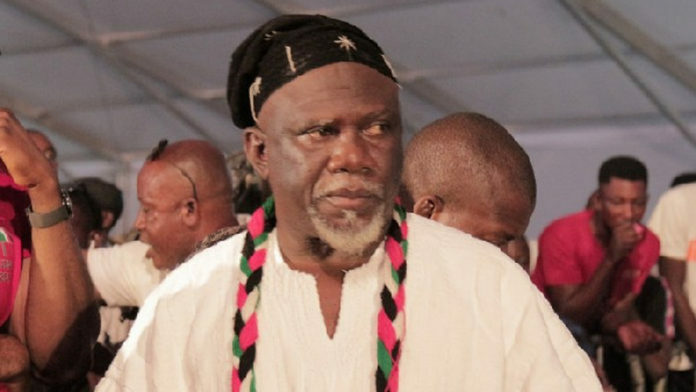 The Azoka Boys originally known to have their roots in the Northern region as assigns of the opposition NDC’s Chief Sofo Azoka have been cited for a myriad of alleged attacks during national elections, by-elections and transition period related national asset takeovers.